This Deal is only available in store! 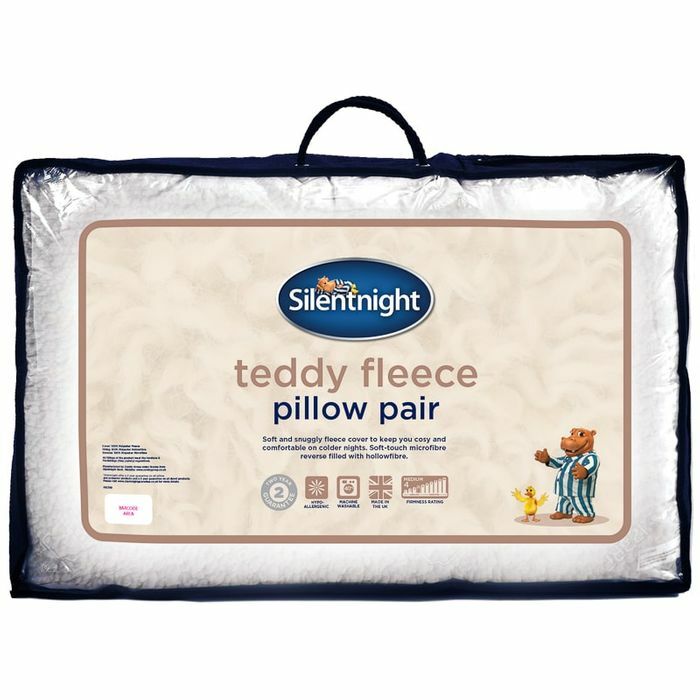 Silentnight Teddy Fleece Pillow Pair. Soft and snuggly fleece cover to keep you warm, cosy and comfortable on colder nights. Soft-touch microfibre reverse filled with hollowfibre. Browse more Pillows online, and buy in-store at B&M.